Ever looked for an award ticket, thought you had found a great deal, and then were shocked when the taxes and fees cost hundreds of dollars? 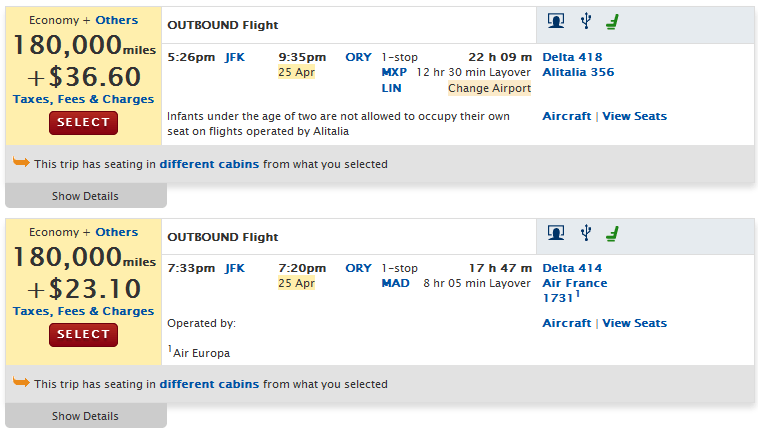 Welcome to the land of fuel surcharges, the airlines new favorite way to make money on award travelers. What Are Airline Fuel Surcharges? When you book an award ticket, once you’ve picked out your dates and flights and made your way toward the payment screen, you’re confronted at some point by the fees. Ranging anywhere from $5 for domestic awards to $1,000+ for upper class international itineraries, award ticket fees are not foreign to award travelers. 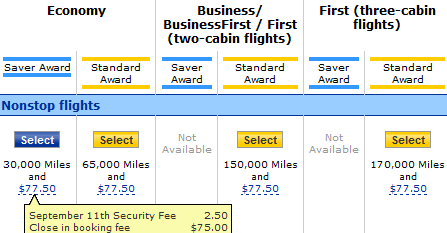 But when the fees seem largely out of whack with the itinerary, there’s usually a fuel surcharge in there. You can check by clicking on the fee breakdown. Fuel surcharge are hated by travelers but adored by the news media, because it seems like every month, some airline or another is getting publicly slammed over fuel surcharges that have nothing to do with fuel prices. On a philosophical level, the argument goes like this: “award” tickets are presumed to be a reward for loyalty to an airline. If you’re being charge exorbitant fees for booking them, where is the loyalty reward? But in 2013, a group of four British Airways flyers took the airline to court and made the argument more legal than emotional—with great results. When the flyers claimed that the fees were not based on fuel prices and that the airline was unfairly adding hundreds of dollars of fees to compensate for “free” tickets, the court, reviewing both fuel prices and fuel surcharges from 2007-2012, couldn’t help but agree. Unfortunately for all of us, the suit hasn’t changed the fuel surcharge landscape—yet—but it has helped reign airlines in from raising them further. 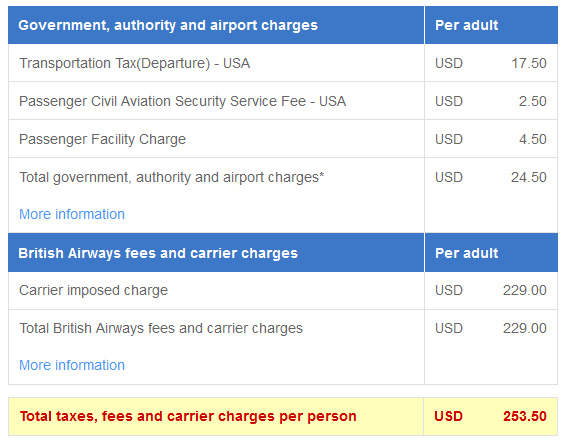 Now, many airlines clearly publish their fuel surcharges to show how there are connected to distance and fuel prices. Which Airlines Add Fuel Surcharges? You’ve probably been paying fuel surcharges without even realizing it for years when you travel abroad. Fuel surcharges are rare on domestic or regional flights (such as within Europe), but they tend to kick in whenever you cross an ocean. United will not charge you for fuel. 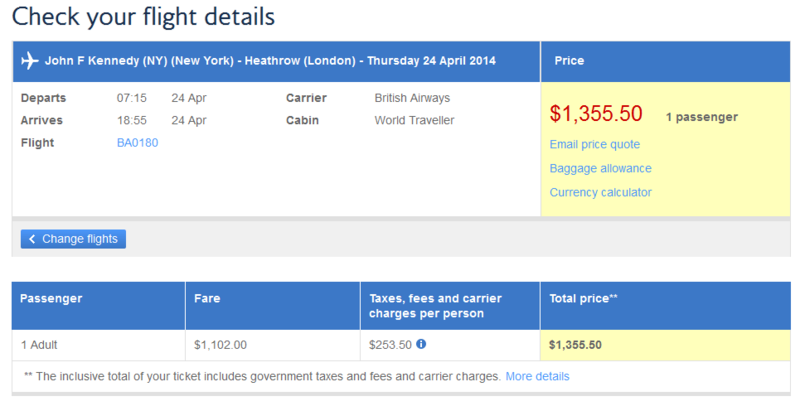 How Can You Avoid Paying Fuel Surcharges on Award Tickets? As you may have noticed above, if you are using miles on an airline that adds a fuel surcharge you may be able to get around it by redeeming on a partner airline. And if you’re flying an airline that only passes on its partners fuel surcharges, in some cases you can simply fly a different partner. Avoid flights like this one. For starters, to avoid a fuel surcharge when crossing the Atlantic, never take an awards ticket that involves Virgin Atlantic or British Airways. If you’re flying a partner, like American, choose the option to view American Airlines flights only or simply ignore every flight with a BA before the flight number. If you want to travel across the Atlantic or Pacific and never have to worry about fuel surcharges, United (and US Airways for the time being) are the way to go.